When you’re looking to create a place to keep your hard-earned money for easy access, a checking account is a great option. 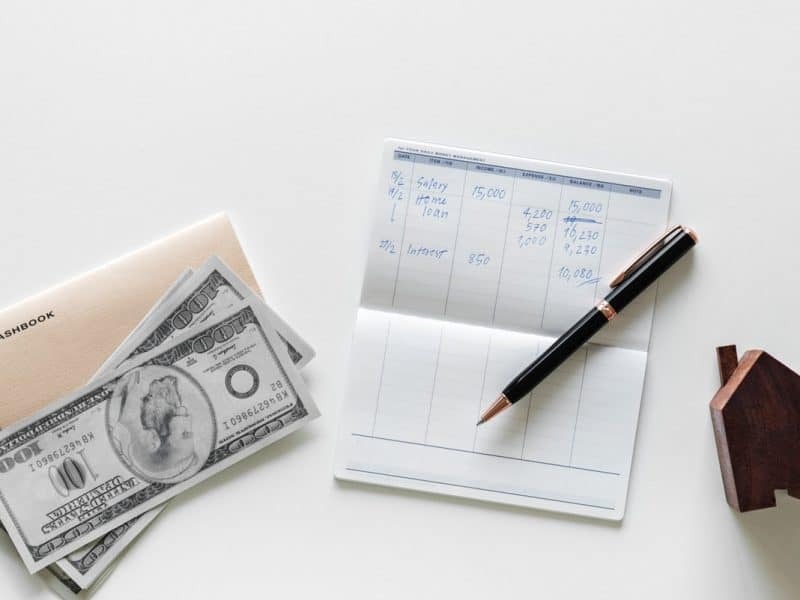 Checking account fees can get annoying when you are just looking to store your money rather than seek out additional benefits to grow your money. Good thing there are certain accounts you can open that are fee-free. Here, we share five helpful options for you in choosing which checking account best meets your needs as you move toward financial thriving. With this Ally account, you’ll get the great features of a checking account without having to pay those maintenance fees that cut into your wallet. You’ll be free from maintenance fees and allow your money to grow. Enjoy helpful perks without the fees with services and features like customer service support that’s there to help any day, any time. You can also deposit paper checks you receive right to your account through their online eCheck Deposit service. Use ATMs at your convenience, and get reimbursed up to $10 for fees from other ATMs. Transfer money and pay others easily and quickly with their Zelle service. You’ll also be able to spend with confidence with EMV chip technology and other security features to keep you and your money safe. Make your money work for you with a 0.6% APY with a minimum balance of $15,000. For less than $15,000 balances, you’ll still get 0.1% APY. Keep more money with you with no fees like maintenance, overdraft or expedited transfers. You’ll also get offered additional services for a small fee, such as rushed delivery of cards or same-day bill pay. By choosing the services you want, you only pay for what you need. When you want a free checking account where you get to pick the services you want, BBVA may have the solution for you. Get access to $0 in monthly service fees, which can help your savings stack up compared to other accounts with a charge. And with this free account, you’ll get free features like mobile banking, a Visa debit card and alerts on your account. Stay on top of your spending and savings with overdraft protection. Choose additional insurances like identity theft restoration and phone protection, all with just a low fee so you can get the services you need. To open an account, you’ll need a $25 minimum deposit. Additional features you have available for a small fee include ATM transactions, check services and a safe deposit box. While this account doesn’t allow you to accumulate interest, the savings you’ll get through paying no fees can be worth it for some people. For a free checking account where you can generate bonus interest opportunities, this account from TIAA Bank may work for you. TIAA can be for more than just investments. Get the best of both fee-free and high APYs with this account. Get reimbursed for ATM fees so you never have an unnecessary charge for using your money. Get a free debit card for easy access and additional benefits and rewards you’ll gain in using it. If you lose your card, you’ll get a free replacement debit card as well as no overdraft transfer fee. To open this account, you’ll need a minimum deposit of $5,000. Select services, such as a cashier’s check and stopping payments, do come with a small fee, but those services aren’t always needed. Reach the summit of where you want to be with your money with this free account that comes with no extra fees to slow you down. Save your money from being wasted on monthly maintenance fees to get where you want to be financially. This online-only account offers services and features like a traditional bank setting, minus the extra fees. You can also enjoy other benefits such as tracking your impact as you spend to know how you’re supporting others and the environment. Aspiration is also dedicated to contributing to charities, so you know you’re with an account you can trust. This account offers a 1% APY for your money. It also comes with no overdraft fees or ATM fees so you can keep more money in your pocket to spend on what you want. Keep more money in your pocket with the helpful savings you can get through this account. Enjoy fee free checking services with this account from Independent Bank, and get rewarded while you do so. This account knows the meaning of free. Use free services as part of your account, where you won’t have to worry about accruing unintentional trends. Get benefits such as a free debit card, access to online banking and free bill pay so you can make sure all your payments are on time. Independent Bank also offers different levels of checking accounts, so if you want to utilize more services, you have the option to. With the Free Checking account, you won’t have to put down a minimum balance so you can choose to save your money how you want. This account comes with zero maintenance fees you have to deal with. While you won’t boost your money with a high interest rate, you do keep your account fee-free with this option. With these five options to open a checking account without those additional monthly maintenance fees, you can be on your way to financial health. You choose the perks you want and not spend on ones you don’t. Whether you’re looking to go all online or still want that brick-and-mortar bank feel, these options can get you to where you want to be.